This time, the title is "Re-Animated: 15 Failed Superhero Cartoons That Deserve A Second Watch", and our feline fliers rank at a lucky 13. 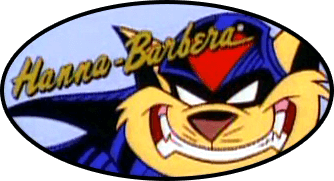 It annoys me a little that the first words of their section ("Created by the good people at Hanna-Barbera...") are a little misleading, but I'm sure we can all agree with the conclusion: "Featuring wildly creative villains and a beautifully dark animation style for the early ’90s, SWAT Kats is a gem everyone should watch at least once." They didn’t research very thoroughly for SWAT Kats. Feral wasn’t an “incompetent captain”. He was a grouchy commander. XD. Plus most of these are comic superhero shows that have had several versions. How about focusing on the new original stuff like SWAT Kats and Megas XLR instead of rehashing the comic heroes? I do wish they’d release the complete XLR series on blu-ray/DVD. Felony wrote: They didn’t research very thoroughly for SWAT Kats. Feral wasn’t an “incompetent captain”. He was a grouchy commander. XD. Yeah, I noticed that too. It's as if the author just wrote about the show from memory and didn't bother to get the facts straight. Felony wrote: Plus most of these are comic superhero shows that have had several versions. How about focusing on the new original stuff like SWAT Kats and Megas XLR instead of rehashing the comic heroes? I do wish they’d release the complete XLR series on blu-ray/DVD. Totally agree with you, although the the comic heroes will always be rehashed, since they're so enduringly popular--and are owned by big corporations who want to keep them in the public eye. Anyway, the real purpose of articles like this is to get people to click on the site so the owners can charge more to advertisers, so I guess it worked. However, any media attention that SWAT Kats gets is a good thing, especially for those of us waiting for Revolution, so I'm not complaining too much. marklungo wrote: However, any media attention that SWAT Kats gets is a good thing, especially for those of us waiting for Revolution, so I'm not complaining too much. Still, I would like to see videos where the information is loyal to the show and without unnecesary complainings. The click bait would be a real bait that way. Hanna-Barbera may not have come up with the idea for the show, but they did produce it. Their name is all over it. So to a casual viewer, it would appear to be entirely their creation. And, anyway, yeah, the Tremblays created the concept and characters, but Hanna-Barbera produced the actual show, which, in my opinion, makes them just as much creators as the Tremblays. Felony wrote: They didn’t research very thoroughly for SWAT Kats. Feral wasn’t an “incompetent captain”. He was a grouchy commander. Well, to be fair, they got the basic gist correct; Chance and Jake were essentially cops and they did get fired for disobeying orders, and Feral being incompetent, while debatable, is a common view of him and certainly, to some extent, how the writers clearly intended us to view him. All they really got wrong was his rank.